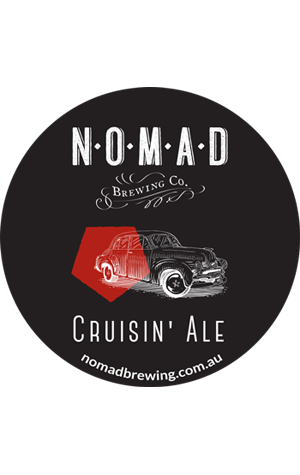 As with most things Nomad, the Cruisin' Ale has been designed by committee with the whole team getting involved in its creation with a series of blind tastings aimed at creating "the best go to session beer possible". Tagged as an Aussie ale, the goal was to conjure "Memories of cruisin' in an old FJ Holden, windows down, tunes playing on the radio and the amazing Australian landscape whizzing by." What that's turned into – via a combination of local and German malts with Aussie hops – is a beer with the "burnt orange colours of Uluru" that has approachable and sessionable in mind.